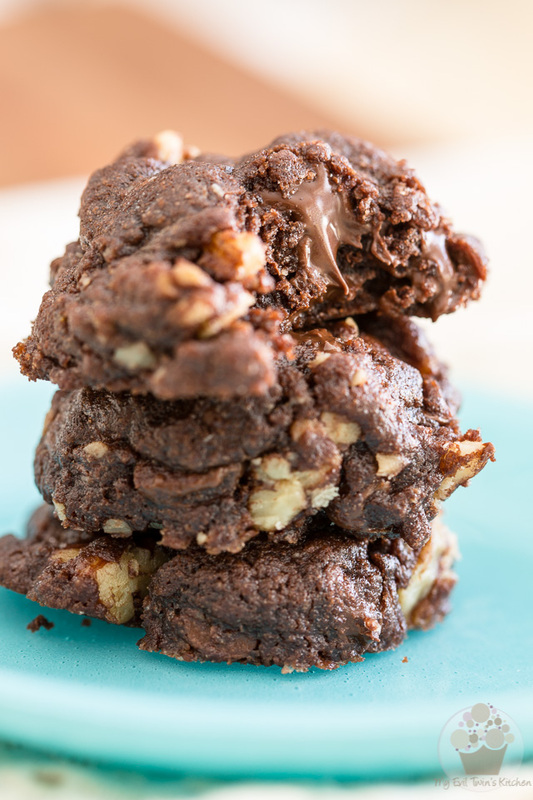 These Double Chocolate Chip Cookies are soft and chewy, and become almost fudgy when fully cooled, with a truly intense and totally dark chocolate flavor! Ever since I can remember, this has been my go-to chocolate chip cookie recipe. Although originally, it wasn’t exactly like that. 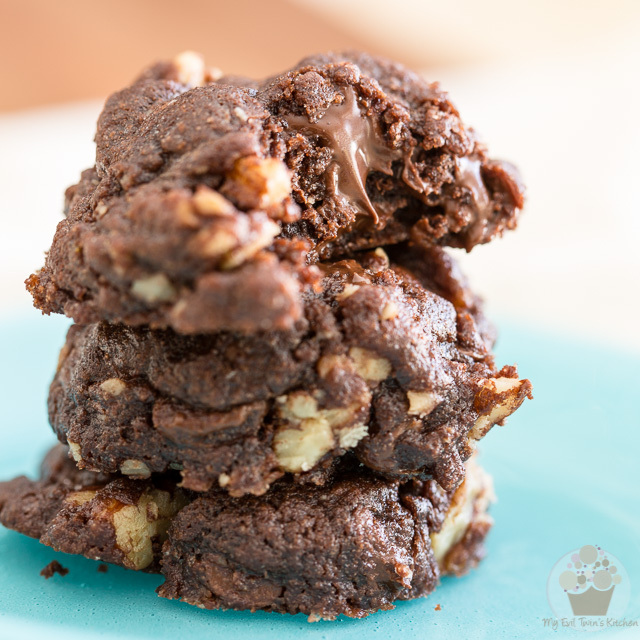 I started making these double chocolate chip cookies when I was still a very young adult, from the recipe that I’d found on the side of a package of golden shortening. Since I wasn’t a fan of the nasty smelling and artificial tasting stuff to start with, it wasn’t long before I started making changes to the recipe. Of course, the first ingredient to be given the boot had been the artificially colored and flavored, yellow greasy stuff. I’ve always much preferred to use real butter, thank you very much. If I remember correctly, the original recipe also called for the addition of milk, contained way too few chocolate chips and didn’t even include nuts. 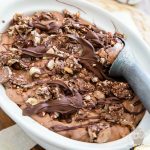 Plus, the batter itself was not chocolaty enough for my taste. It definitely needed a little bit more cocoa powder! 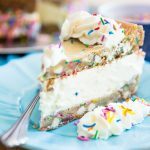 For a couple of years, I would make a new batch pretty much every month, in an attempt to come up with the perfect recipe. 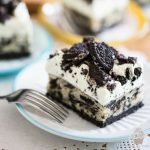 While I can’t say that I ever actually found it (you see, there’s this thing with me where I seem to always want to modify my recipes every time I make them, just to see if I couldn’t improve on them even more…) I think that I’m pretty darn close. 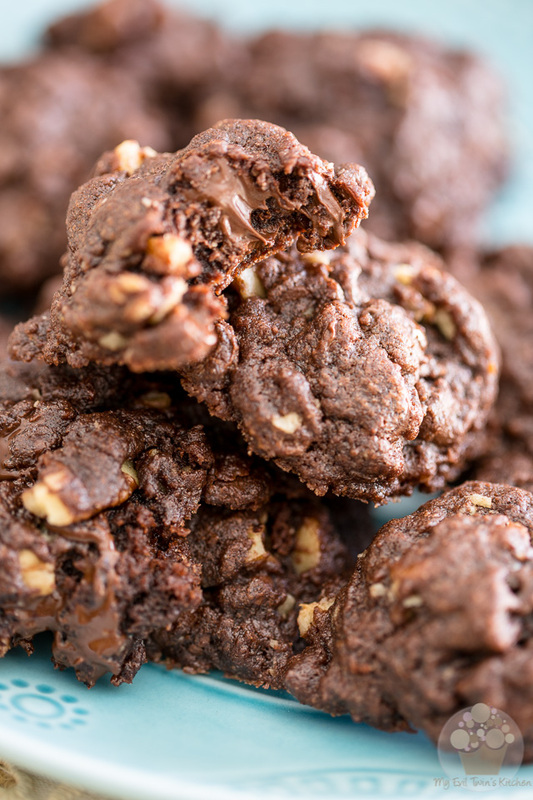 These bite size cookies have the perfect texture, if you ask me: they’re really soft on the interior, yet they’re slightly crispy on the exterior. 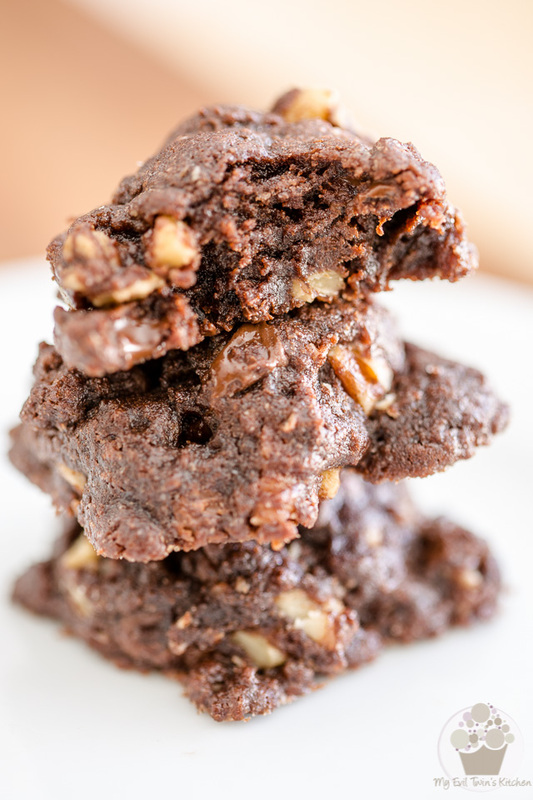 They are soft and chewy, and become almost fudgy when fully cooled. As for their flavor, it is truly intense and totally dark chocolate! 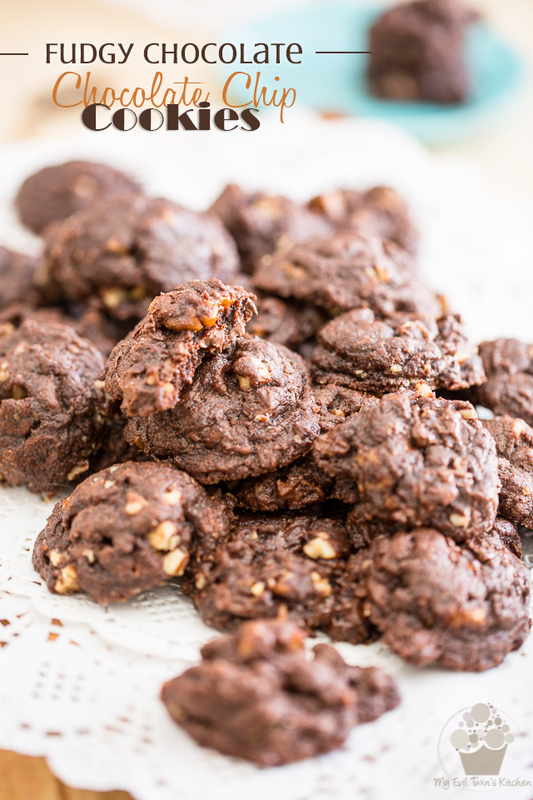 And finally, each cookie procures a very satisfying amount of chocolate chips and chopped pecans in every single bite! 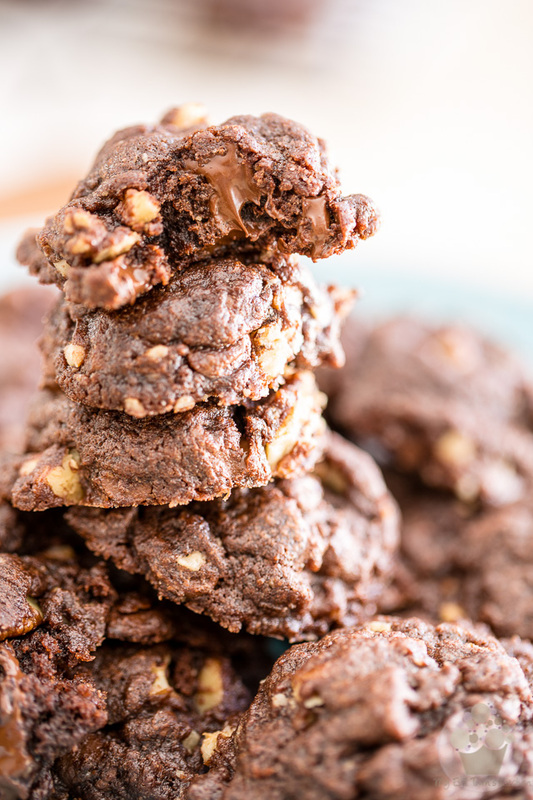 This recipe yields 5 dozen cookies, which may seem like a lot, but trust me when I say that you don’t really want to go for a half-batch. For starters, they freeze really well, either cooked or raw (more on that later) but also too, they disappear so fast, if you choose to cut the recipe in half you will seriously regret not making a full batch. Plus, they’re small cookies, you know… well, smallish… sort of… so that means you get to eat more! 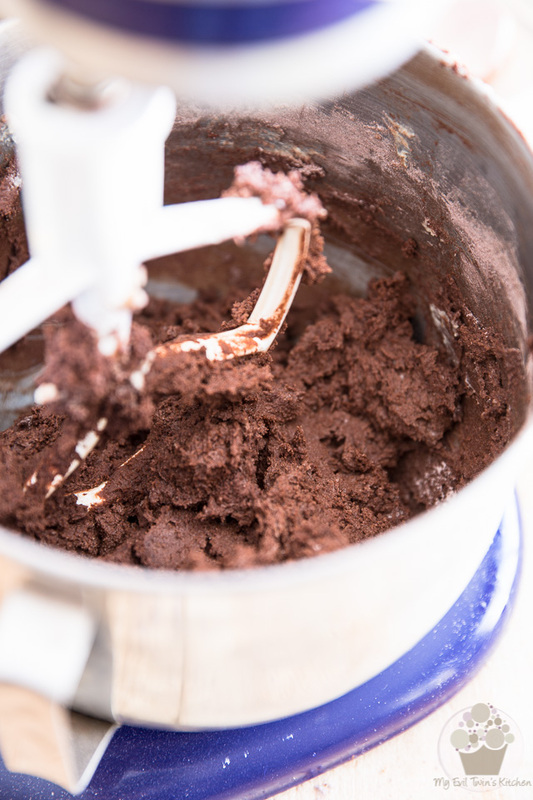 In a medium mixing bowl, combine the flour, cocoa powder, baking soda and salt. 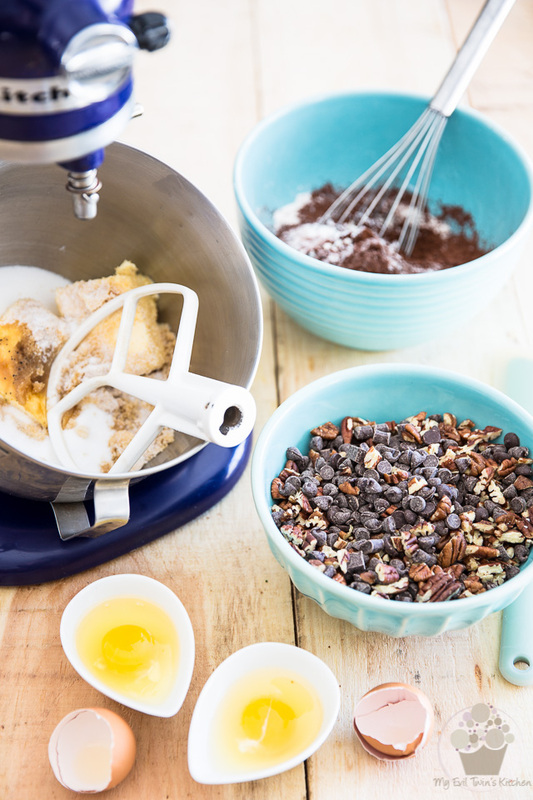 Chop your pecans and put them in a separate bowl, together with the chocolate chips. Next, in the bowl of your stand mixer, combine the butter, granulated sugar, brown sugar and vanilla extract . Equip the paddle attachment and beat the butter and sugar on medium speed for about 2 minutes, or until creamy. 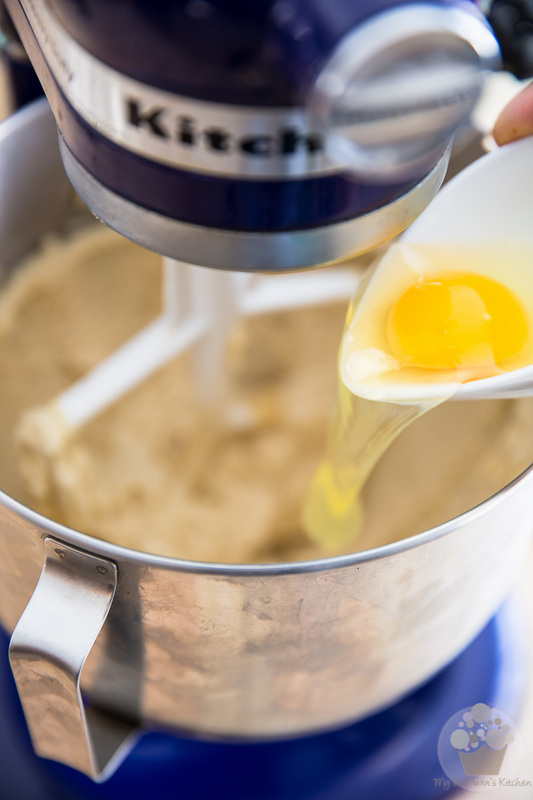 Add the eggs and resume beating on medium speed, until the eggs are completely incorporated. Just make sure you scrape the sides of the bowl once the eggs have been incorporated and then resume beating until well blended. 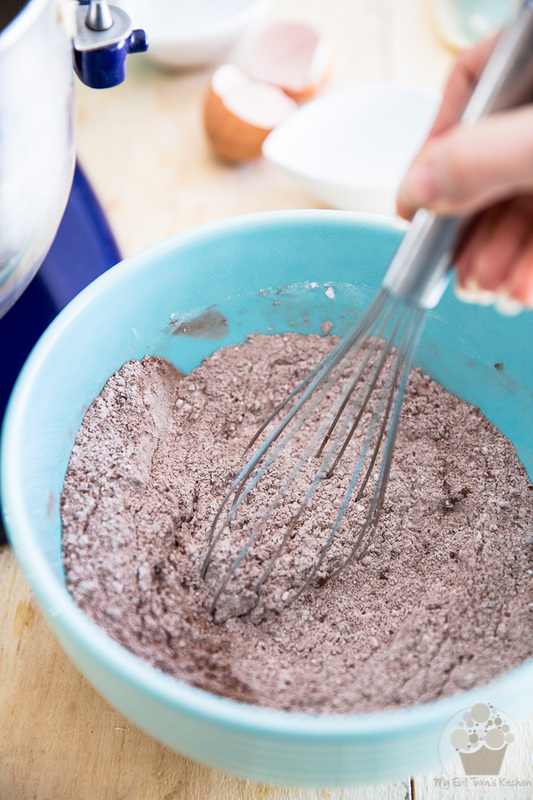 Mix the the flour, cocoa powder, baking soda and salt together with a flat whisk, until completely incorporated. Add to the creamed mixture and beat the cookie dough on low speed for about 1 minute or until well blended. 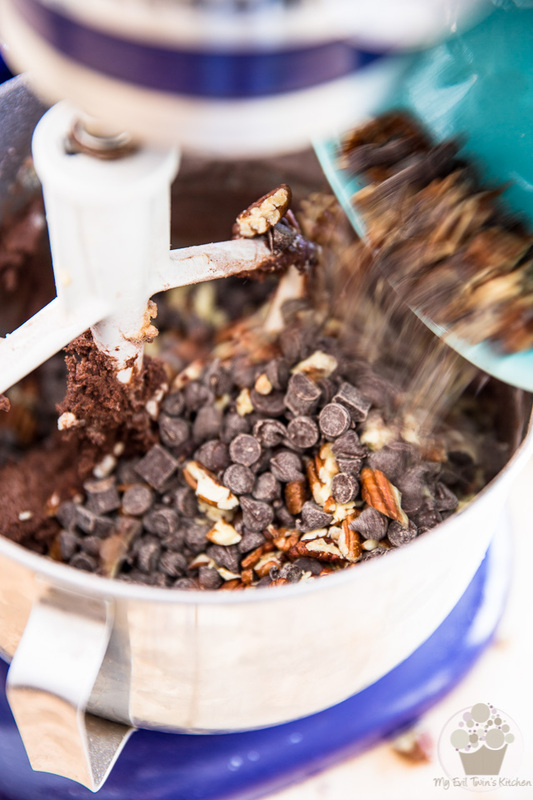 Add the chopped pecans and chocolate chips and mix again on low speed until just incorporated, no more. 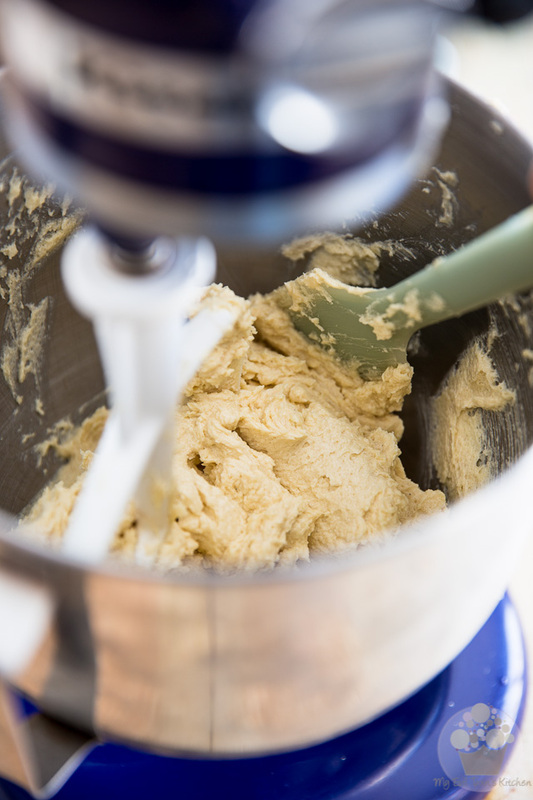 Transfer your finished cookie dough to the refrigerator for at least one hour, or up to overnight. 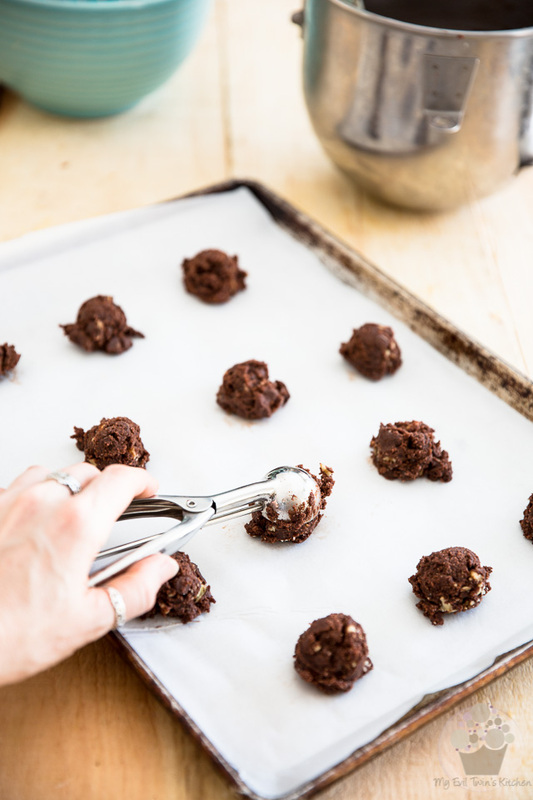 Drop the cookie dough by the tablespoonful on the prepared cookie sheet, leaving about 3 inches between the cookies to allow for spreading. I strongly recommend that you use a spring-loaded ice cream scoop for this, as it ensures your cookies will be uniformly shaped and will all cook at the same time. I like to pre-scoop all my cookie dough while my first batch of cookies is in the oven. That way, as the cookies come out of the oven, all I have to do is place the little balls of dough on the baking sheet and send it right back into the oven. And remember how I said that you could freeze the raw batter, if you wanted to? Well, now would be the time to do this. 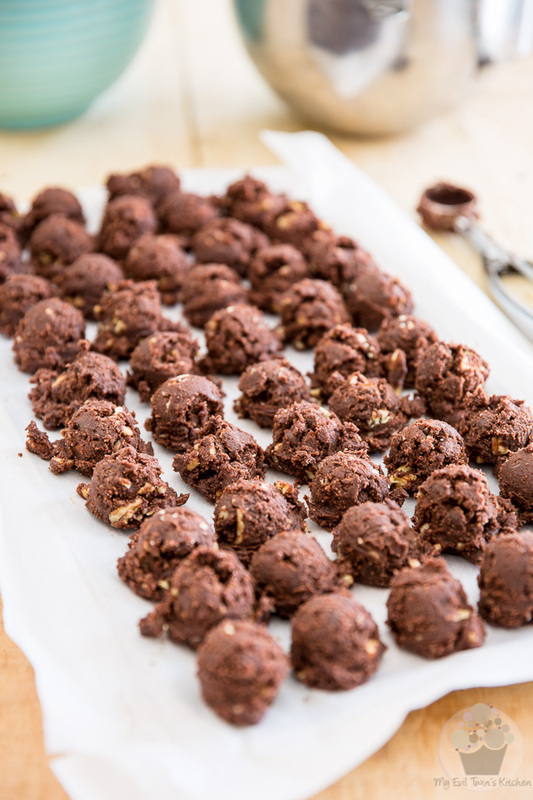 Simply align the pre-scooped balls of dough on a small baking sheet lined with a piece of parchment paper and place them in the freezer until they are frozen solid and then transfer them to an airtight container or zip bag. That way, when you’re in the mood for a fresh oven baked cookie, all you have to do is take the number of dough balls that you want out of the freezer, let them thaw in the fridge for a couple of hours and then bake them just like you would fresh cookies. 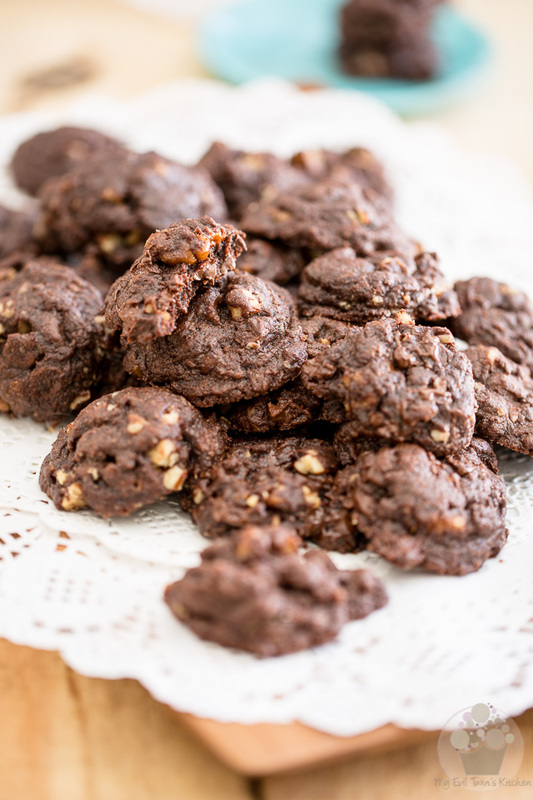 Bake the cookies for precisely 8 minutes; they will still be VERY soft and moist as you take them out of the oven, but they will firm up as they cool down. With that in mind, let the cookies cool for 2 minutes on the baking sheet before even attempting to touch them. 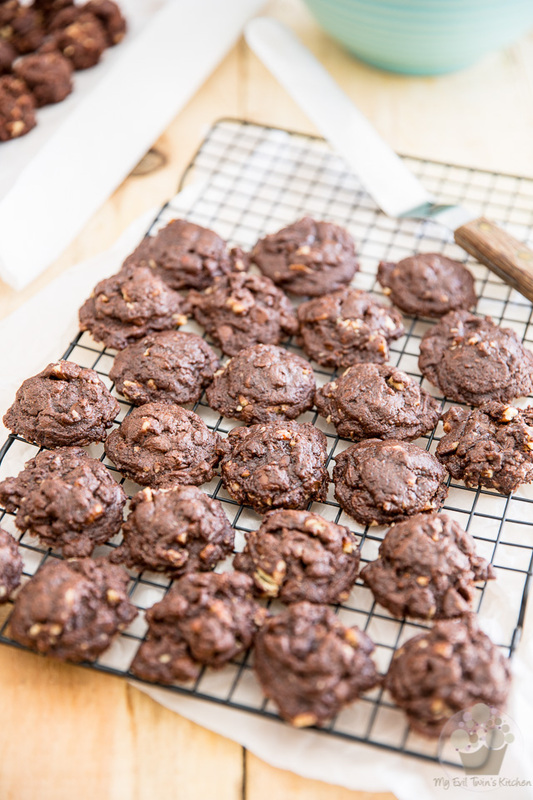 Once they have cooled sufficiently, remove the cookies to a cooling rack to cool completely. Store the cooled cookies in an airtight container for up to a few weeks (yeah, like that’s gonna happen) or freeze them for up to a few months. 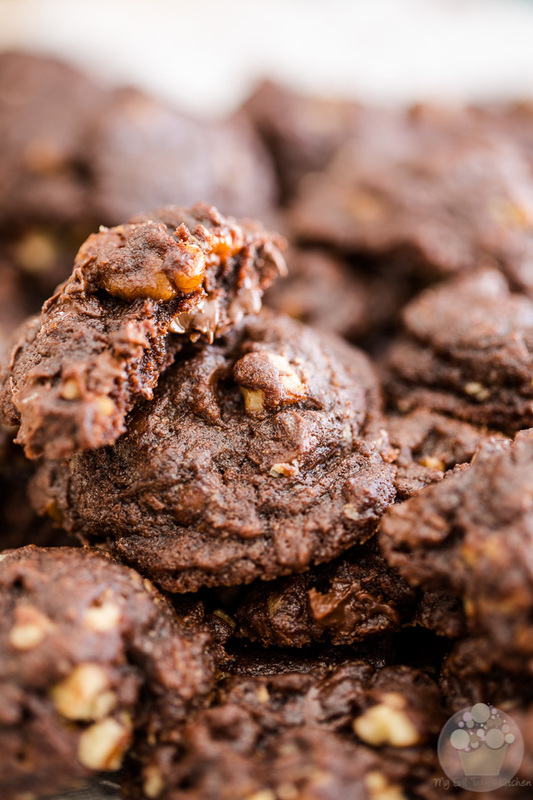 Be warned, though: if you are sending your baked cookies to the freezer in an attempt to make them last longer, know that they are also totally delicious right out of the freezer. Sure, you can thank me for that! 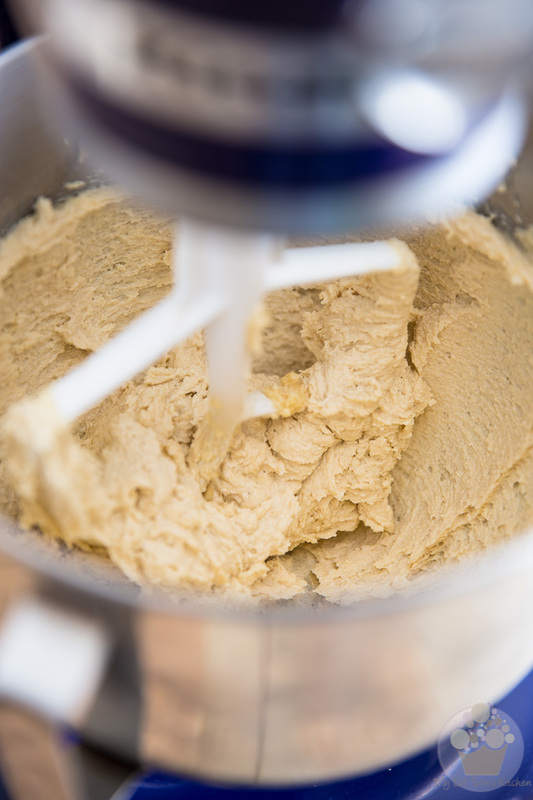 Combine the butter, granulated sugar, brown sugar and vanilla extract in the bowl of your stand mixer. 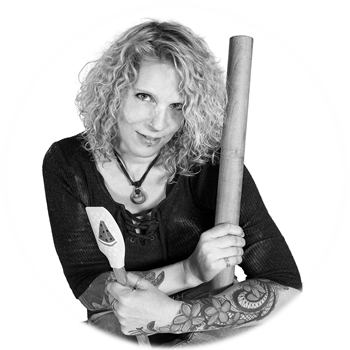 Equip the paddle attachment and beat on medium speed for about 2 minutes, or until creamy. In a separate bowl, combine the flour, cocoa powder, baking soda and salt. Add to the creamed mixture and beat on low speed for about 1 minute or until well blended. 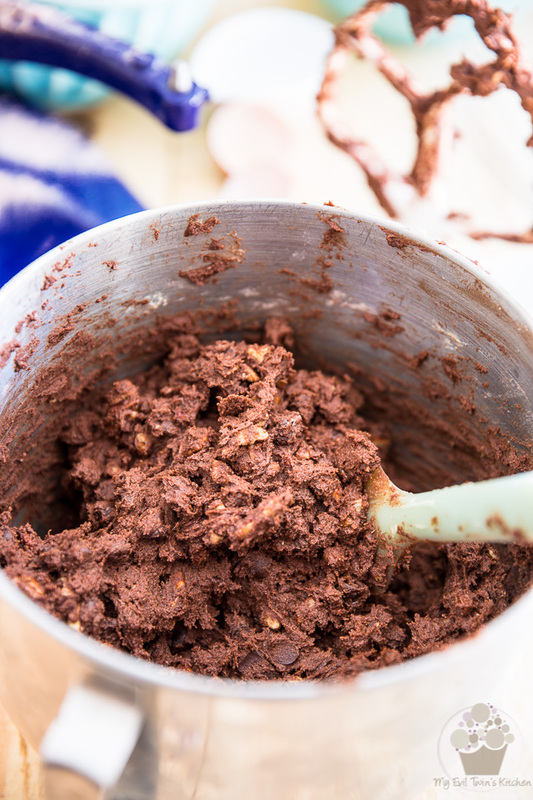 Add the chopped pecans and chocolate chips and mix on low speed until just incorporated, no more. Chill the cookie dough for at least one hour, or up to overnight. Drop the dough by the tablespoonful (a small spring-loaded ice cream scoop works wonders for this) on the prepared cookie sheet, leaving about 3 inches between the cookies to allow for spreading. Bake the cookies for 8 minutes; they will still appear soft and moist as you take them out of the oven, but will firm up as they cool down. Let the cookies cool for 2 minutes on the baking sheet, then remove to a cooling rack to cool completely. Store in an airtight container for up to a few weeks, or freeze for up to a few months. 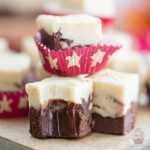 Hi, thanks for sharing your recipe, they look so yummy… Aquick question though, do you use salted or unsalted butter for this recipe? Will it make much difference? Much thanks! I always use salted butter in all of my recipes, but you could very well use unsalted if you preferred. It would work just as well, only the flavor would be slightly different (but delicious nonetheless! ).